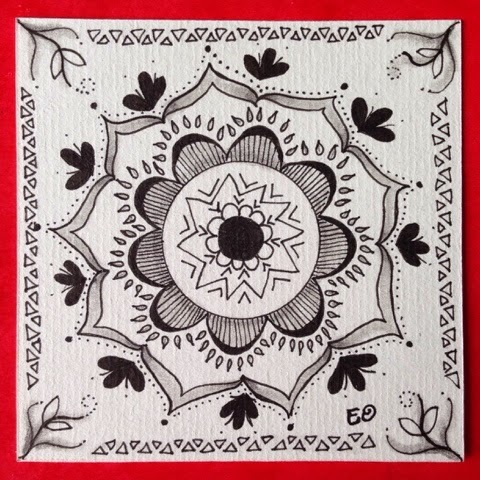 My daugther made a beautiful zentangle tile for me. I surely want to publish it on my blog. She had some free time some weekends ago, and made this one for me. Mostly she creates new patterns, and uses zentangle to pimp her school books. But now she decided to make a 'complete' tile once. Very nice result. Thank you Esther ! And for you a happy birthday today and good luck now with your exams.